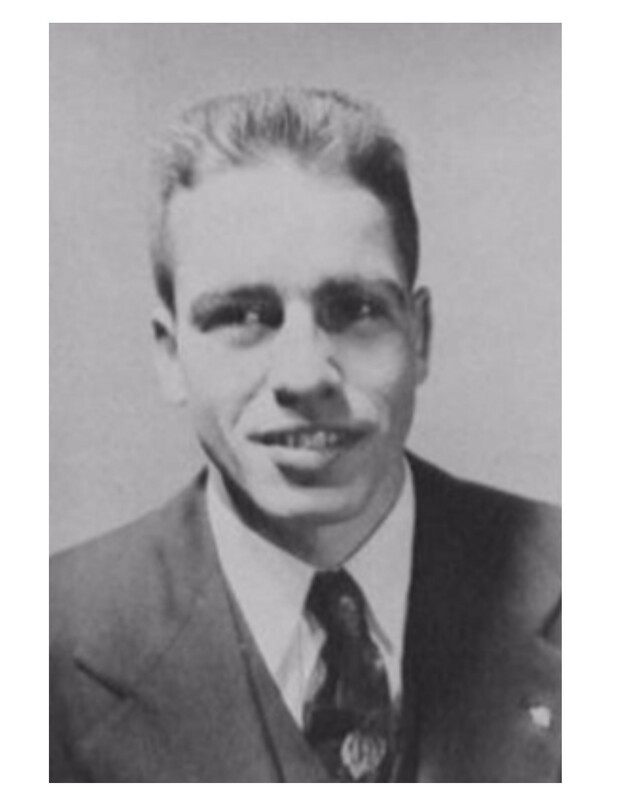 Alan Whittlesey Waite, 91, passed away on November 21, 2017 at his home in West Hartford, CT. He was born the son of Alan Whittlesey Waite Sr. and Marjorie Osborn Waite. He is predeceased by his beloved wife Sara Johnson Waite, and sister Ruth Waite Jordan. He is survived by a son, Peter Whittlesey Waite, daughter- in-law Donna Stewart Waite and two beloved grandchildren, Dylan Whittlesey Waite and Courtney Stewart Waite. 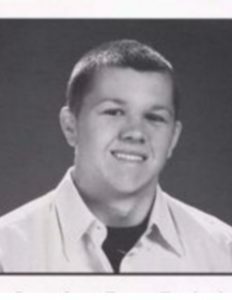 Alan was born and raised in West Hartford, attended Sedgwick Middle school, Williston Academy, and graduated with a B.S. from the University of Connecticut. Alan and his family moved to Rochester, New York, where he was employed by Aetna Life & Casualty as a senior liability and bond claims adjuster. They remained there for over forty years, participating in community activities and making many friends. Over the course of his life, Alan was dedicated to public service. Beginning in World War II when he did his part with the US Navy during World War II, to being a volunteer fireman, boy scout leader, a certified EMT, active in his Church, and finally, an enthusiastic member of a Habitat for Humanity team. After retiring from Aetna, Alan and Sara returned to West Hartford where they were able to reunite with family, revive old relationships, but most of all, be part in their grandchildren’s lives. While Alan should be remembered for his community service, it was in his roles as a loving husband, father, and grandfather, as a reliable coworker, and loyal friend that those close to him will hold dearest. The family would like to extend gratitude to Gail Porter for taking such good care of Alan in his final weeks. 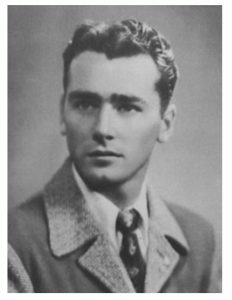 John F. Dignam of Ossining, New York, passed away Nov. 6, 2017, at the beautiful age of 92 with his family by his side. 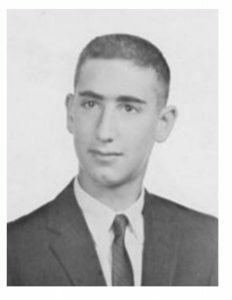 John was born in Easthampton in 1925 to Vincent and Kunigunde (Kessler) Dignam. He attended Easthampton schools through to high school and attended a postgraduate year of school at the Williston Academy, where he was a star athlete. John left Easthampton and attended the Massachusetts School of Art in Boston. After serving our nation in the Air Force, John played for the St. Louis Cardinals minor league baseball team for a time before moving to New York. He worked many years as a vice president of the J. Walter Thompson Advertising Agency in New York City. John was a very gifted artist and was very successful with his own artwork and showings. He enjoyed drawing and painting portraits of everyday people and gave many a waiter and waitress their own portrait on the restaurant napkins. John is survived by his loving wife, Marion (Rhinehart), and his sons Justin (Christine) of California and Peter (Lauren) of Colorado. He will be greatly missed by his grandchildren, Taylor, Chandler, Jack, Cole and Sam, and his sister, Carolyn M. Croake of Easthampton. He also leaves five nieces and nephews and three stepdaughters and their families. John was predeceased by his brother, Arthur Dignam of Easthampton. Marshall Robert Louis, Jr., was born Jan. 26, 1943 and raised in Auburn, NY. He received his secondary education at Williston Academy, undergraduate at Yale, and graduate education at New York University. Marshall served our nation in many roles, including at the US State Department as a Cultural Affairs Officer. After a distinguished career that included service in Zaire, Israel, Japan, Brazil, Colombia, and many other countries, he retired to central Maine. He died after a brief battle with cancer on Nov. 11, 2017, in Bangor, Maine. Marshall is survived by his three children, Rachel Barnett, Josh Louis, and Ana Gabriela Loius; and granddaughter, Olivia. He is also survived by his fiancée, Beth Zaccaro, and his much-loved dogs, Nor’easter, Klondike, Allegra, and Applejack. He is survived by three siblings, Tom (’62), Ken (’65), and Sue Louis. He had many friends in Milo and the Lake View Plantation area. He was a man of many talents, a deep thinker, and had a positive impact on our nation’s international reputation. We love him, miss him, and will remember him. 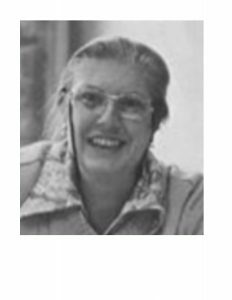 Dr. Tamara Diago Barreda, of Miami, FL, passed away November 2, 2017. She was 85 years old. Dr. Barreda taught German and Spanish at Williston Northampton from 1975 until 1991. She is survived by her son, Felipe C. Barreda ’85. James Bump, of Putnam, CT, passed away in November 2017. Jim was born in Springfield, MA, son of C. Kilbourne and Gertrude (Lapham) Bump. He went to Williston Academy after attending Minnechaug High School. 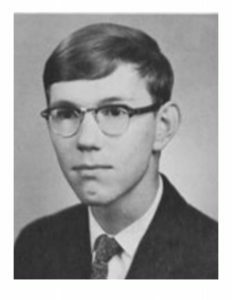 At Westminster College, New Wilmington, PA, class of 1969, he majored in piano, after realizing that he could read music faster than text. There he began to build instruments, laying the foundation for several years of lute building and about 19 years at Old Sturbridge Village. At OSV, he demonstrated crafts and built replicas of furniture and tools, from plows to looms to a printing press, so that historical techniques could be shown without damaging the original antiques. In the 1990’s, Jim worked as a church organist and accompanist to students, soloists and choruses. Trying a week of classes at Summer Keys, Lubec, ME, he was taken on as piano accompanist for adult amateur musicians. He fell in love with Lubec, and bought a 5 bedroom house, where he rented rooms to music students, making friends from around the world. After 10 years, he resigned from accompaniment and concentrated on hosting string quartets, in which he was always the viola. In 2012, Jim helped to start the Northeast Connecticut Community Orchestra, which continues to meet in Ashford, CT and perform in several nearby towns. Jim is survived by his brother Ben and sister-in-law Ellen Bump, cousins, and longtime companion Rachel Lewis and her family. John A. Alogna, 74, of Bethlehem, PA died November 5th, 2017. He was born in Wethersfield, CT, the son of first generation Italian immigrants, Ella Corinne Maturo and Michael Paul Alogna. He attended the Williston Northampton School in Easthampton, MA and went on to Dickinson College in Carlisle, PA. At a business conference, his father and future father-in-law realized they both had children attending schools in the same area (his future wife, Winifred (Wink) attended a prep school, Penn Hall, located in Chambersburg, PA). After being introduced by the fathers, John and Wink went on a first date, which must have made an impression on them both, as they recently celebrated their 49th wedding anniversary surrounded by family and friends. Upon his graduation and following their marriage, they moved to Philadelphia, PA where he received his MBA and Juris Doctorate from Temple University. John started his legal career with the Commonwealth of Pennsylvania in Harrisburg. After living and working in Pittsburgh and Williamsport, PA he and his growing family relocated to Bethlehem in 1981 when he joined the Fuller Company as Vice President, General Counsel and corporate Secretary. During his tenure, John expanded Fuller’s Legal Department, oversaw management of the international subsidiaries, and was instrumental in developing and implementing policies and procedures that had profound and lasting impacts on Fuller’s business. John was one of a handful of Fuller executives who collectively bought Fuller from GATX Corporation in 1986. He had significant involvement in every major endeavor Fuller pursued including the sale of the company on February 14 1990, to a Danish industrial conglomerate, F.L.Smidth & Co. John continued to serve as a director, senior vice-president and general counsel of Fuller (which later changed its name to FLSmidth Inc.) until his retirement in 2002. He was a long time board member and served several terms as Chairman of the Board of the Lehigh Valley Business Coalition on Health Care, which is the major voice and advocate of local employers on health care issues. He was also a long time board member of the national nonprofit People’s Medical Society where he played an active role in propelling the society to become one of the largest consumer health advocacy organizations in the U.S. Upon retirement, John volunteered with the Service Corp of Retired Executives where he advised entrepreneurs in business fundamentals. He was recognized in leading the Lehigh Valley chapter of SCORE to national distinction in fundraising. He also dedicated many volunteer hours with the Historic Bethlehem Society, serving on the Board of Trustees. In 2013, John was chosen as the Historic Bethlehem Society’s annual Honoree for his work on behalf of the organization. John’s love of discourse also led him to start multiple discussion groups with diverse groups of people, discussing current issues and the impact they had on society. His love of people, animals, and the environment drove him to work tirelessly to alleviate the pain of others. Even during his last days, his greatest sorrow was seeing others suffer. Survivors: John is survived by his loving wife Winifred; his son Forrest and wife Sandrine of Paris, France and their children (Lucy and Felix); his daughter Nora and husband Indrajit (Ed) of Goa, India and their children (Ella, Sachi, and Max); his son Michael and wife Elizabeth of Bethlehem, PA and their children (Wyatt, Reese, Quinn, and Cora); his son Alexander of Bethlehem, PA; daughter Marian and husband Alistair of Jersey City, NJ and their daughter (Lillian); and his youngest daughter Victoria of Dunedin, New Zealand; He is also survived by his best friend and brother Michael T. Alogna ’57 of Arlington, MA; and sister Patricia Reiss of Lake Forest, IL. His sister, Donna Edson of Clinton, NJ, predeceased him. Robert Burt Doolittle passed away peacefully at home on October 11, 2017. He was eighty-seven. Robert was born on March 23, 1930, in New Haven, Connecticut. He attended Roger Ludlow High School in Fairfield, Connecticut for two years. Then, in 1945, he became a student at Williston Academy in Easthampton, Massachusetts where he was active in sports and captain of the hockey team. 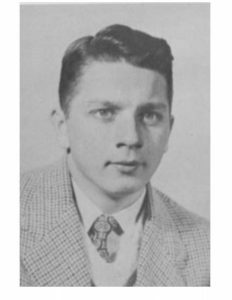 He graduated from Williston in 1948. Robert attended both the University of Vermont and the University of Bridgeport, before he enlisted in the U.S. Coast Guard in 1950. While in the Coast Guard, he was stationed in Groton, Connecticut. After completing his military service, Robert attended Quinnipiac University, in Hamden, Connecticut, and graduated with an accounting degree. After he passed the State of Connecticut Certified Public Accountant exam he worked as a public accountant at Byxbee Company in New Haven, Connecticut. 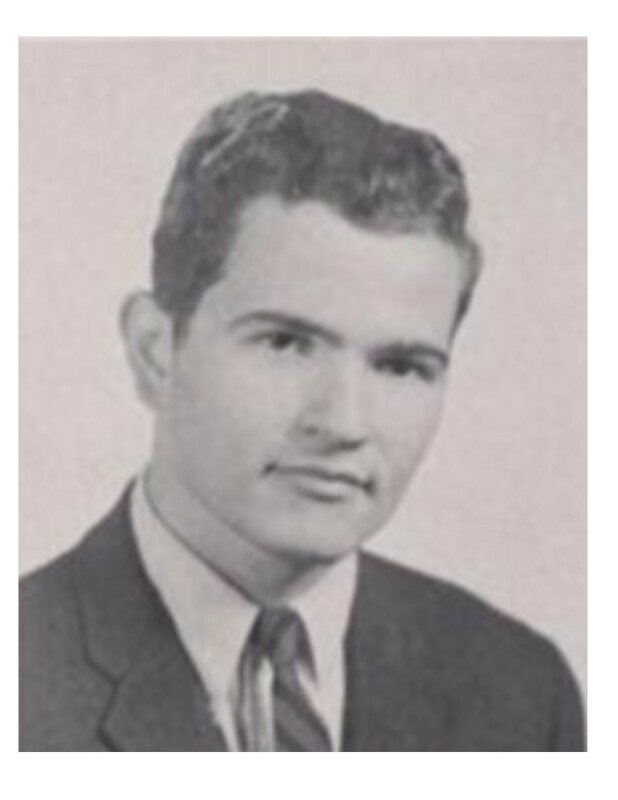 In 1960, Robert moved from New Haven, Connecticut to Glastonbury, Connecticut and worked as Financial Analyst at Pratt & Whitney Aircraft, and later as Senior Financial Analyst at United Technologies, Inc. in Hartford. After retiring in 1987, Robert studied fine woodworking at Leeds School of Design in Northampton, Massachusetts, where he devoted his time to the art of furniture making and finishing. In 1996, he left Glastonbury, Connecticut and moved to Ormond Beach, Florida, where he lived for the rest of his life. Robert leaves behind his wife Elaine Whiteman Doolittle (Pat) of nearly sixty-five years, his brother Charles King Doolittle ’50 (Chas) of Auburn, California, his sons Robert Monroe Doolittle (Rob) and Rob’s wife Laurie, Charles Henry Doolittle (Chuck) and Chuck’s wife Karen, and his daughter Elizabeth Louise Doolittle (Beth). He leaves behind seven grandchildren, Sarah Lund, Ross Monroe, Erin Louise, Sydney Francis, Lexi Kate, Beatrice Georgiana and Michael Eden, and poodle Dorie.